Absolutely stunning and totally updated 4BR, 2.5BA colonial with everything redone! New granite and modern glass tile backsplash in the large open kitchen, refinished hardwood floors, brand new carpet, all new lighting, and completely re-painted walls and ceilings throughout the entire house. 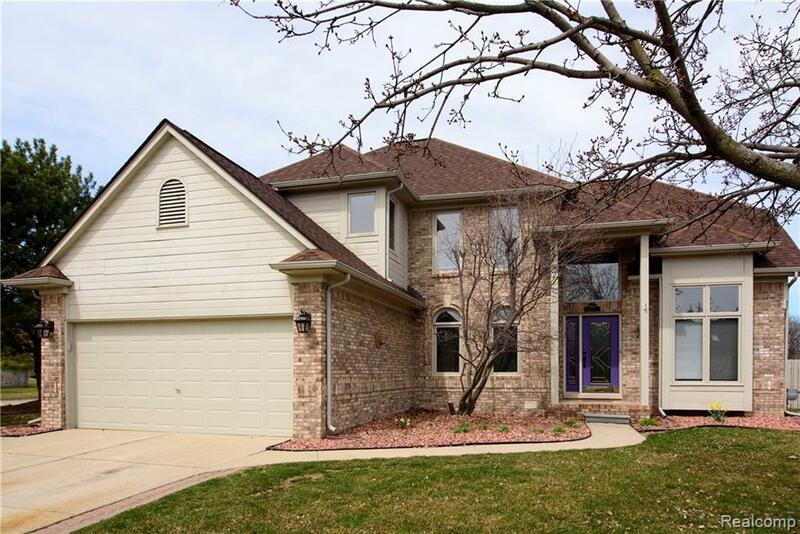 Two-story ceilings w/skylights in kitchen, w/walk-in pantry and fireplace in Great Room. Formal dining room w/butlers pantry. 1st floor laundry. Enjoy the first-floor redone Master Suite w/10 ceilings, jetted tub, separate tile shower, large 11x6 walk-in closet, and separate makeup area. Upstairs youll find three bedrooms and a full bath. All bathrooms and pantry have been upgraded to granite. Plenty of additional living space with 900sf+ of finished basement and still tons of storage. Enjoy your backyard on the brick paver patio. Furnace, A/C, water heater, and roof all replaced in the last 5 years. Theres nothing left to do except move in and enjoy! Owner is licensed agent.